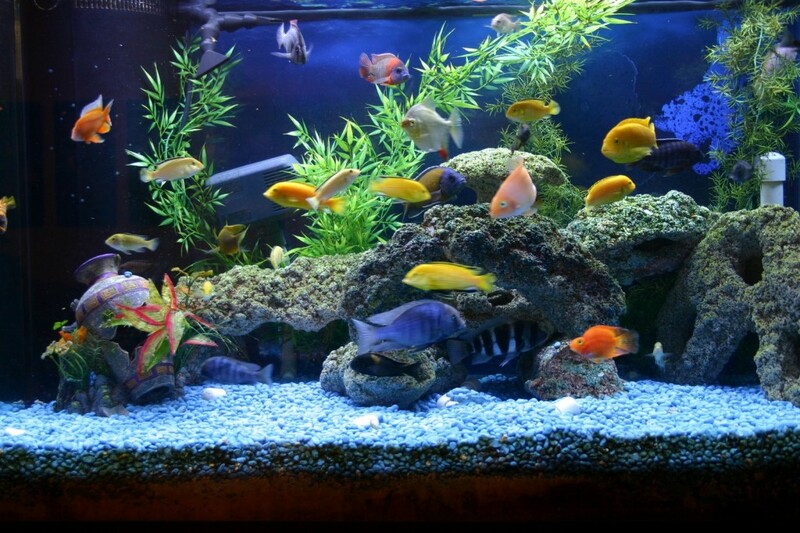 aquarium in your home helps with temperamental children, depression and anxiety. The kitchen is the heart of a home and is often where friends and family gather during get togethers. The kitchen island can become a focal point when the base is made into a large aquarium with natural-looking elements. Take the time to search for live plants and coral to make the setting look like an underwater ocean-scape theme. It is important to have dimensional elements and hiding places for the fish as well. Consider a rock pile to create ledges for the fish to hide under and a few small houses as well. Wholesale aquarium supplies can help build the filtering and lighting systems in each setup, especially when working on a budget. In the living and family rooms, where families gather to watch television and movies, is another ideal location for a unique aquarium. Consider a custom coffee table made from several round aquariums. Thick glass can act as the tabletop so that viewing the fish from all angles is possible. For bookcase options, dedicate one shelf for aquarium space. Include a background for the aquarium that matches the interior theme. Back-lighting is also ideal to further illuminate fish with neon color inclusions and highlight some of the landscape at the same time. If your children have difficulties falling asleep at night, consider adding an aquarium to the space. It is calming and the ambient light from it will help calm their minds to fall asleep faster. Place the aquarium within view of the child's bed. Being able to watch the fish swim and glare through the landscape is helpful for settling irritable children at bedtime. The ideal location for this type of setup is in a wall cut-out so that it is difficult for the child to have an opportunity to cause the aquarium to fall and break. One of the good things about aquariums is that the options for customization are so versatile that a theme can be created for any room in the home. Multiple aquariums can be setup in different rooms, each having a specific theme to suit the space. Get creative and consider seasonal decor changes for the fish to make it a little more fun for the family.